This week I decided to proceed with a review of four classic down jackets for men. Even though each one of these models was made for braving extreme cold, their urban look makes them excellent city coats. Anybody who has waited at the bus stop for twenty minutes in Québec’s bone-chilling winter winds will understand the advantages of a good coat. The four models under review are: The North Face McMurdo III Parka, The North Face Gotham Jacket III, the Canada Goose Expedition Parka and the Canada Langford Parka. Many people are initially surprised by the difference in price between these two brands. I don’t really like to repeat or quote myself, but for the benefit of the cause here is an explanation from my previous article: Canada Goose is made in Canada, whereas The North Face (in the case of the McMurdo Parka III and the Gotham Jacket III) are made in China. After trying them last winter, I have to say they’re all very warm: the kind of jacket good for walking around outside in, but that needs to be taken off on the bus or in the metro. The differences between each one are small in detail. For example, the Expedition has more down than the Langford. 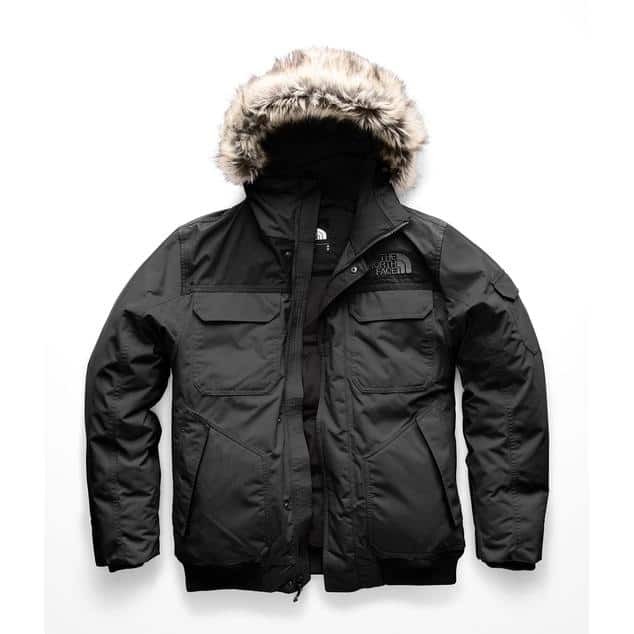 The North Face Gotham III Jacket and the McMurdo Parka III have the same amount of insulation. 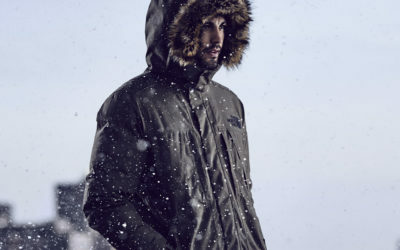 The down used in both the Canada Goose jackets is white duck down with a fill power of 625, while the two North Face Jackets are filled with goose down with a fill power of 550. In my opinion, the difference between the two types of duvet is too small to cause any hesitation. A good winter coat is waterproof and will break the wind, and our featured companies have different ways of satisfying these demands. The external material on The North Face jackets is lined with a waterproof breathable coating – The North Face HyVent – and both jackets have sealed seams. This guarantees that they are waterproof and will block the wind. Aside from really extreme conditions, I don’t think it is necessary for these jackets to be waterproof. They are so warm that it is rare you wear them when it is warm enough to rain. Concerning Canada Goose, they use a very strong, robust outer material that cuts the wind. In this way, the Arctic-Tech (polyester and cotton) material used on the Expedition is very efficient. All four coats have a very roomy fit. I am 5’9 (1.75 m) and weigh 155 lbs (70 kilos) and usually take small or medium, but only the small in The North Face Gotham III Jacket fits me; the others in the same size are too big – the Expedition being the largest (I would need an extra small). When it comes to length, the Gotham III Jacket is the shortest, ending at the waist, while the others come down to about mid-thigh. The Expedition differs from the McMurdo Parka by its elastic storm skirt at the waist. The other four coats have quite a few storage pockets as well as hand-warmer pockets. At the wrist, The North Face coats have adjustable Velcro® strips on the back of the sleeves. The Canada Goose parkas have long fitted inner wristbands. 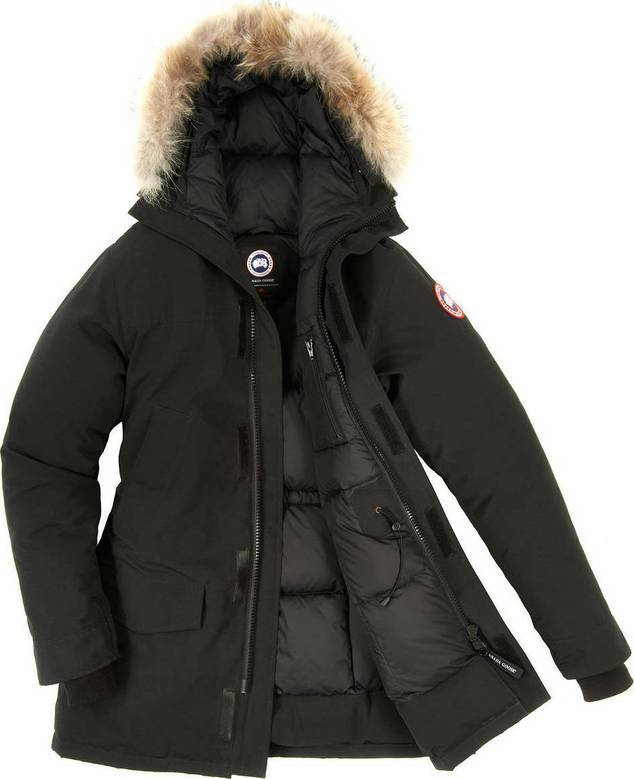 The North Face jackets have detachable hoods, whereas they are secured on the Canada Goose. I also would like to point out that the zippers on the Canada Goose are very big and consequently very sturdy. The North Face parkas have removable synthetic fur around the hood, whereas the Canada Goose parkas have real coyote fur. Each of these coats would be perfect for those of you who want to be (really) warm all winter long while doing a moderate activity like walking. Feel free to leave a comment below if you have any questions or check out our Choosing the Right Winter Jacket guide for some tips on finding your ideal winter coat. You can also click on the models I just reviewed in the section “Related Products” for more details. There is 17 thoughts on this article titled “Four Classic Down Jackets for Men Reviewed”. Hello! Hesitating between Expedition – Resolute – Snow Mantra for snowmobiling in Ontario and Québec… I know the Snow Mantra is the absolute warm but is there a big difference between the 2 others? Also, I’m 5’9″ and 135 lbs (yeah I know I’m skinny), which size should I buy? Hello, I am a NYC resident who frequently travels to Boston and I want to buy ether CG Exp or TNF Mcmurdo parka. Is there a big difference btw the two when it comes to warmth? Thanks! Hey Alex, both are extremely warm jackets, but I would say the Expedition is the warmer of the two, to answer your question. That being said I presume both will be fine for the NYC-Boston climate. Good question. The North Face does not indicate how much quantity of down they put in their jackets, just the quality (the McMurdo being 550 loft). I can honestly say that the McMurdo is extremely warm and you should not fear for the warmth of this model. They have stuffed it full of down! Is the woman’s CG Expedition parka built at exactly the same specifications as the man’s parka ? All i know is the cut and length are different. Robson, if you are referring to construction (ie: down quality, fabrics, etc), then yes they are identical. Besides the cut and length, as you pointed out, they are no tangible differences. In fact, we sell a lot of men’s models to women, and vice versa because of this very reason. Thank you Eli! Honestly, the original “review” told me nothing of value. Eli saved the day by explaining the differences between the Ontario and Expedition. How they compare in the real world to TNF offerings will have to be found elsewhere.